After previously presenting what we can all agree is the It bag of fall, J.W.Anderson has managed to spark our accessory lust all over again for S/S 17. But instead of his Pierce Bag, all eyes this season were on the designer's colorful, creative shoes. Lace-up boots and oxfords splashed with unexpected prints had us craving over-the-top footwear ASAP. 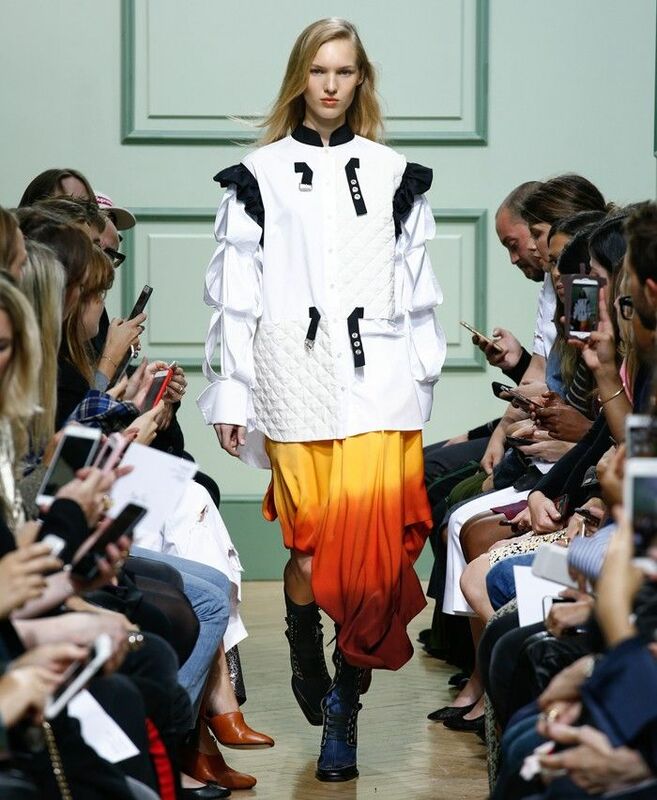 Meanwhile, the clothes featured colorful and captivating ombré as well as mismatched patchwork-esque pieces that seemed to touch on the styles of the early aughts while still feeling fresh for 2016. Though he's just 32, Anderson clearly is one to watch. See the full collection below, and then shop current must-haves from the designer! Want more? Check out all of our fashion month coverage!